Another weekend of Premier League football has come and gone. Here, we take a look at how Arsenal, Chelsea and Tottenham got on over the weekend…. Arsenal beat Huddersfield 2-1 on Saturday at John Smith’s Stadium. Goals from Alex Iwobi and Alexandre Lacazette gave the Gunners a 2-0 lead at half-time. Sead Kolasinac scored a late own-goal in second-half stoppage time to give Huddersfield some hope of getting a result, but that wasn’t to be as Arsenal held on. However, the Gunners weren’t at their best in this game and were largely disappointing, with some arguing they didn’t even deserve their win as Huddersfield had more shots, more possession and made more passes. That could be because Arsenal took their foot off the gas after going 2-0 up and allowed Huddersfield to come at them, but it was disappointing nonetheless. They seemed to have a defensive game-plan and weren’t very pleasing on the eye. 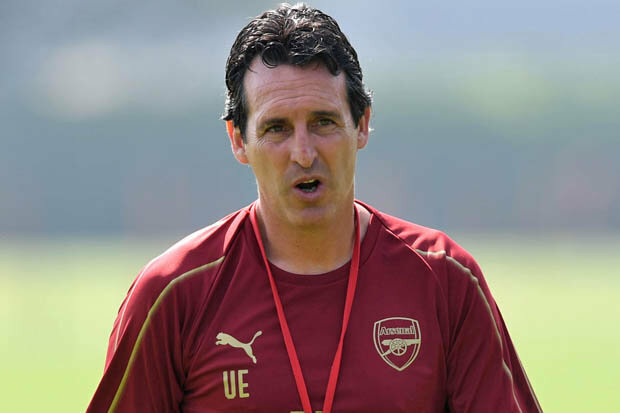 The result is the main thing, of course, but Arsenal fans are used to seeing their team playing great football, and it hasn’t been like that too often this season. Arsenal end the weekend in fifth – one point behind Manchester United, who are fourth. That battle for the top four keeps going; it’ll be interesting to see how it goes over the coming weeks. Chelsea had an absolute shocker at the Etihad on Sunday, as Manchester City demolished them in a 6-0 win. Sergio Aguero scored a hat-trick, Raheem Sterling got two and Ilkay Gundogan got one. It was an embarrassing defeat for Maurizio Sarri’s team. The Blues’ game-plan was clear from the first few seconds: press high up the pitch and don’t give City any time on the ball. It could have worked if it wasn’t for Sterling scoring after just three minutes! That clearly threw Chelsea completely off. In truth, they were never in this game. Man City were just far too good for them and absolutely dominated. Even though Chelsea had a couple of decent spells in the game, they never looked like scoring. While Man City looked like they would score every time they went forward. 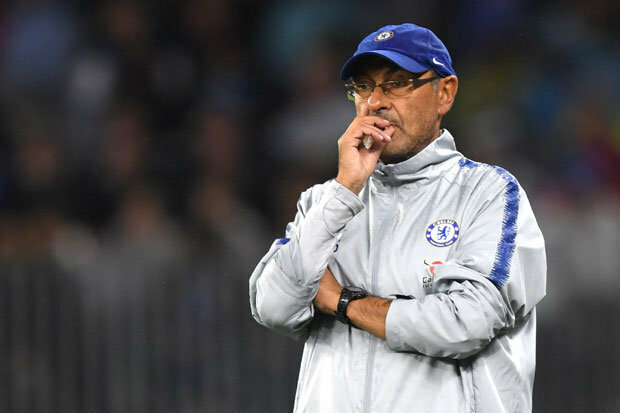 Will there be questions asked of Sarri’s job after the result? There shouldn’t be, because it’s clear that he needs time to really transform the team into the one he wants. But, because this is Chelsea, it wouldn’t be surprising. It’s not like they have a history of giving managers time. The Blues have moved down to sixth after their heavy defeat as they’re now behind Arsenal on goals scored. Tottenham marched on and picked up another three points with a 3-1 win against Leicester at Wembley on Sunday. Davinson Sanchez opened the scoring in the first half. In the second half, with the score still 1-0, Leicester were awarded a penalty. Jamie Vardy was waiting to be substituted on before the penalty was awarded. James Maddison stood with the ball in his hands waiting to take the spot-kick. But Claude Puel sent Vardy on to take the penalty. And he missed. Incredible. They should have left it to Maddison! Moments later, Christian Eriksen scored to make it 2-0 to Tottenham. Such fine margins decide games. 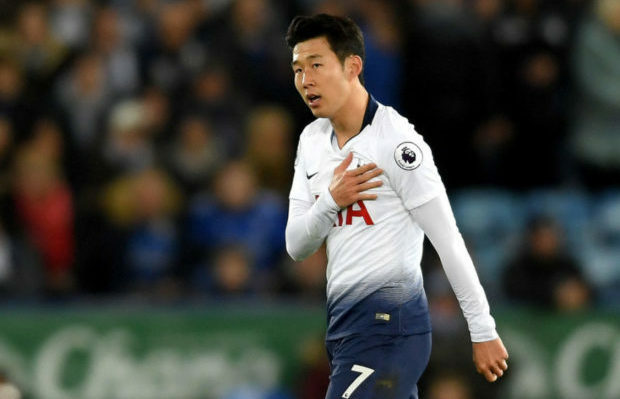 Vardy did manage to score with around 14 minutes to play to give Leicester some hope, but Son Heung-min scored in stoppage time to put the game to bed. Tottenham remain third in the table – five points behind Manchester City and Liverpool. They do have a game in hand on Pep Guardiola’s men, though. They certainly can’t be written off as title challengers. It’s going to be difficult, as they’re without some key players and have a much smaller squad than City and Liverpool. But when they do get the likes of Harry Kane and Dele Alli back, Spurs will be even stronger than they are now. If they can go on a good run of form between now and the end of the season, you just never know, but it will be tough to overtake both Liverpool and City.